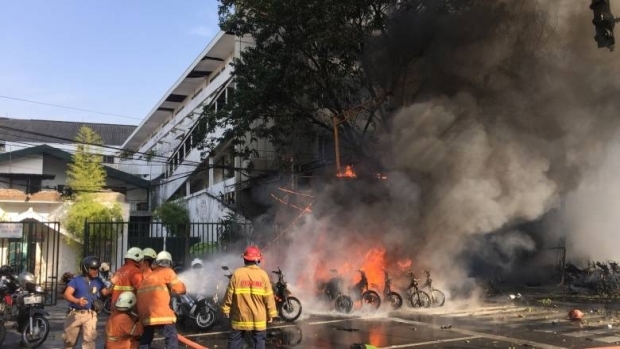 Yesterday it was a family of six, recently returned from Syria, who carried out three coordinated suicide bombings at Christian churches in the Indonesian city of Surabaya. The deaths happened at a camp housing displaced people in part who have left areas held by Isis, Iraqi authorities in Baghdad said. 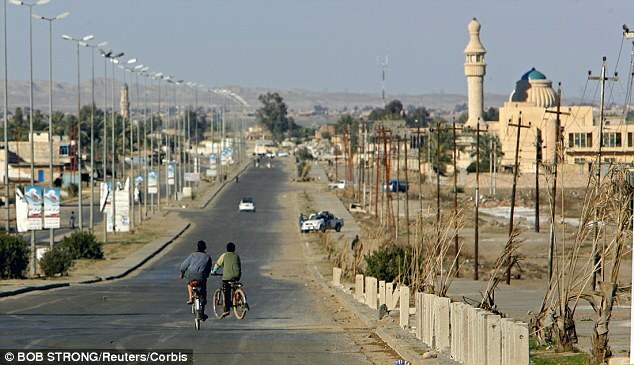 Will we send cruise missiles into Islamic State bases in Egypt? No, that wasn’t on Obama’s to-do list, which is apparently guiding Trump’s foreign policy at this point. The U.S. Embassy issued the usual pro forma condemnation, which accomplishes nothing except manifest the virtue of the one issuing it. Genuine action against those Muslim groups that have decimated the Christian populations of the Middle East is unlikely to be forthcoming. Disturbing new footage has appeared online of a tiny dog wearing a form of suicide-vest in Iraq. A suicide bomber has attacked the Saudi city of Medina, close to the Prophet’s Mosque, one of Islam’s holiest sites, according to local media reports. The bomber detonated his device as security officers were breaking their Ramadan fast, al-Arabiya TV said. News outlets said at least two of the officers had been killed, but there has been no official confirmation. The mosque is the burial place of the Prophet Muhammad and Medina the second-holiest city in Islam after Mecca. 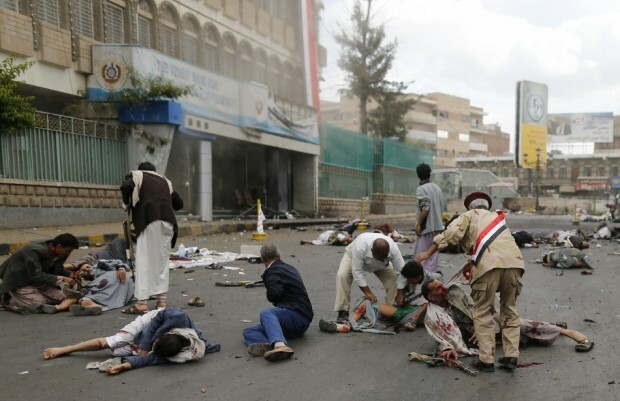 State-linked Sabq news and the Okaz newspaper also carried reports of the suicide attack. Earlier, at least one explosion rocked the eastern city of Qatif. Qatif is home to many minority Shia Muslims and the blast appeared to target a Shia mosque. The attacker was killed but no other casualties were reported. A suspected suicide bomber also died after detonating a device near the US consulate in the city of Jeddah. Two security officers were slightly injured as they tackled the man, but no-one else was hurt. Did Security Use A False Wand in Iraq? After at least 187 people were killed in a devastating Islamic State bomb attack in the Iraqi capital, Iraqis turned their anger toward a symbol of government corruption and the state’s failure to protect them: fake bomb detectors. The wand-like devices, little more than an aerial attached to a plastic handle, are still widely in use at security checkpoints around the country even years after the British con man who sold them was arrested for fraud and the U.K. banned their export. They are used at the entrances to embassies, compounds and government ministries. They are used by security forces at checkpoints such as those on the shopping street at Karrada that was hit in the suicide bombing in the early hours of Sunday morning, and has been targeted numerous times in the past. A British ISIS fighter has blown himself up in a car on a suicide mission in Iraq using 1800kg of explosives to kill a number of the country’s security force soldiers. 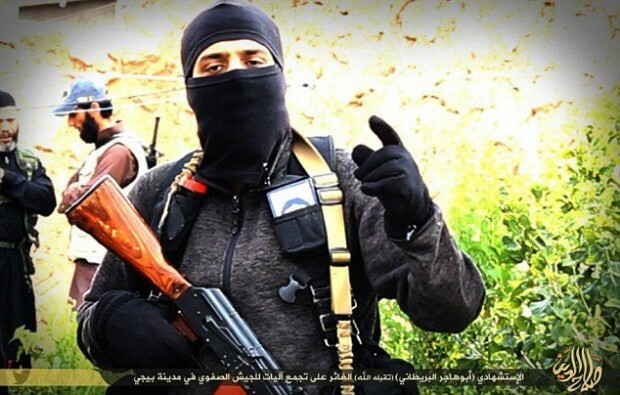 Abu Hajar al-Britani reportedly carried out the martyrdom mission in the strategic Iraqi town of Baiji today and ISIS claims the Brit also destroyed a significant number of tanks and artillery equipment. A British security official employed by G4S was among the five people killed in this morning’s Taliban suicide bomb attack on a British embassy vehicle in the Afghan capital, the Foreign Secretary confirmed today. An Afghan national employed by the British embassy to drive the diplomatic 4×4 vehicle was also killed in the explosion, Philip Hammond added, going on to say that he condemns ‘this appalling attack on innocent civilians supporting our diplomatic activity’. It is understood that the remaining three victims include three members of a family who were heading to nearby Jalalabad for a wedding. A sixth body recovered from the scene is believed to belong to the suicide bomber himself, who was travelling in a red Toyota Corolla car packed with explosives. 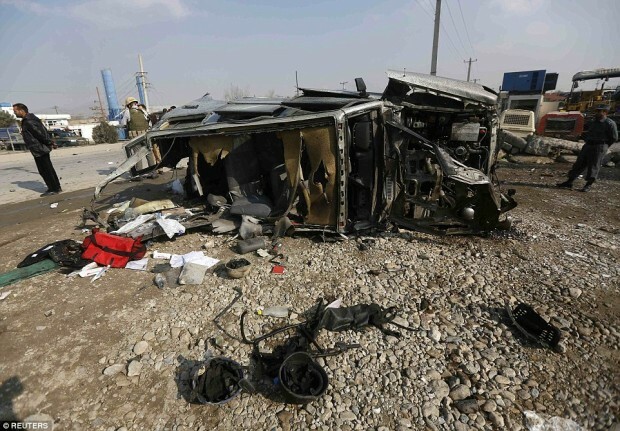 The explosion left 33 other people injured – many of them civilians who had been going about their business along the busy stretch of road running from Kabul to the city of Jalalabad, which lies 95 miles to the east of the Afghan capital. Islam. It’s not like other religions. 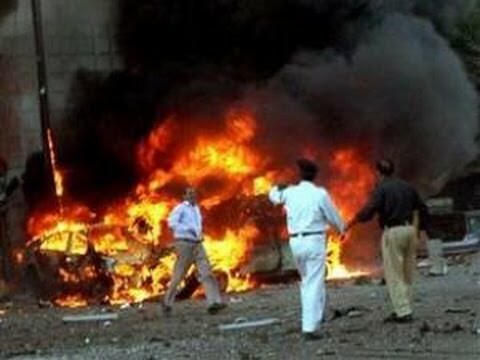 (Reuters) – A suicide bomber driving a car packed with explosives blew himself up in the capital of Iraq’s Kurdistan region on Wednesday, killing at least five people in the first big attack there in more than a year. Mayor Nihad Latif Koja told Reuters the assailant had detonated himself as he tried to enter the governor’s compound, which is protected by blast walls, in the center of Arbil. 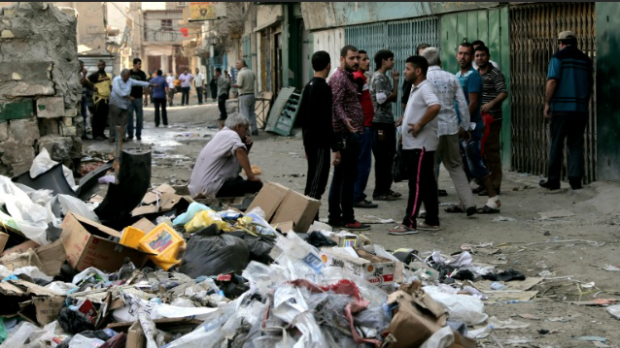 Explosions are a regular occurrence in Iraq’s federal capital Baghdad and in other cities outside Kurdistan, but the autonomous region has largely managed to insulate itself from the violence convulsing the rest of the country. Meanwhile, Clashes near Egypt’s border with Gaza kill 10 civilians: sources (Reuters) – Ten civilians were killed overnight during fighting between the army and Islamist militants near Egypt’s border with Gaza, where the military has launched a crackdown in recent weeks, security and medical sources said on Wednesday. At least three of the casualties were children and three were women, the medical sources said. The victims were killed in their home by two mortar shells fired by militants during a night-time curfew, security sources said. 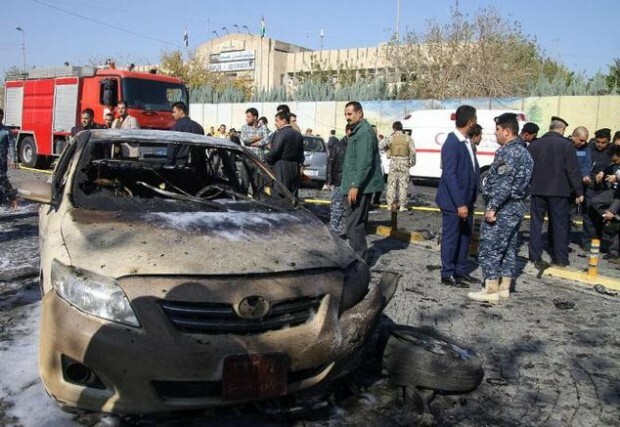 BAGHDAD — Militants unleashed a flurry of deadly attacks against Shiite targets in Iraq on Monday, including a quadruple car bombing near two of the holiest shrines in Shiite Islam and a suicide attack inside a mosque, officials said. The four car bombs were detonated in Karbala on the periphery of a pedestrian-only area encircling the shrines of Imam Hussein and Abbas, killing 22 and wounding 51, officials said. Those attacks roughly coincided with a symbolically important meeting in Najaf, another holy Shiite city in southern Iraq, between Prime Minister Haider al-Abadi and Grand Ayatollah Ali al-Sistani, Iraq’s top Shiite cleric. The meeting was widely viewed as a demonstration of support for Mr. Abadi. Ayatollah Sistani had not met with Mr. Abadi’s predecessor, Nuri Kamal al-Maliki, for the last few years, which was interpreted by many as a sign of dissatisfaction with the administration. No group immediately claimed responsibility for the attacks in Karbala, but suspicion fell most heavily on the Sunni-led Islamic State, which has deployed car bombs and suicide bombers with increasing frequency in recent weeks, most often targeting Shiite neighborhoods.